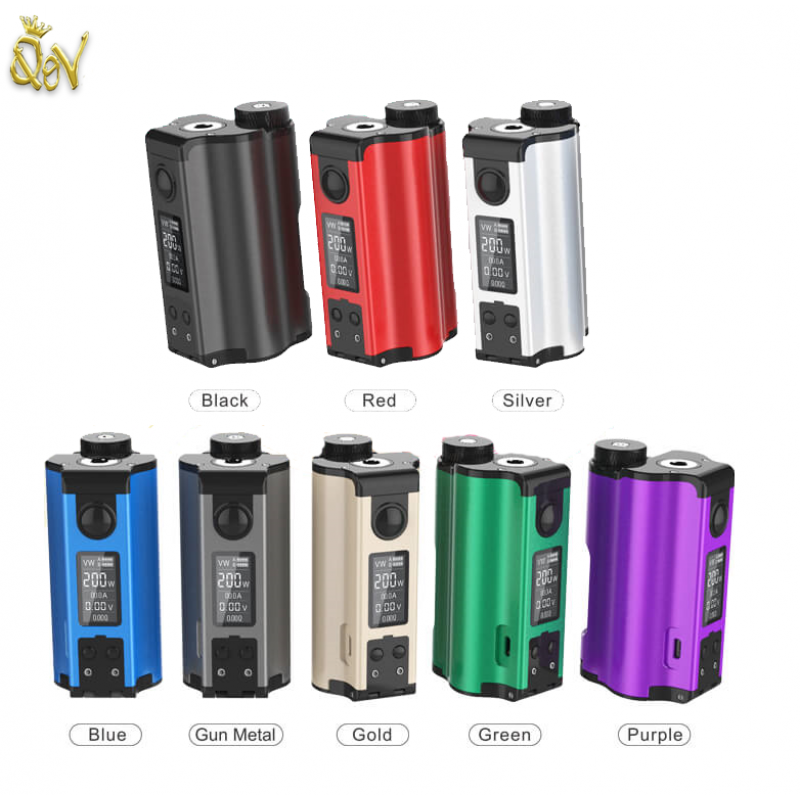 DOVPO TOPSIDE DUAL 200W Squonk Box Mod is an updated rendition crafted in collaboration with The Vapor Chronicles, presenting a polished dual 18650 platform while maintaining the innovative top-fill squonk designs and upgraded power chipset! Renowned for its high-quality construction with intricate levels of craftsmanship, the DOVPO Vape Topside Dual 200W utilizes a combination of Zinc Alloy and Aluminum Alloy construction to create an ergonomic form factor that fits dual 18650 batteries (sold separately) and the signature 10mL squonk bottles. The new intelligent chipset has a new maximum output of 200W and 12 Volts, featuring a minimum atomizer resistance of 0.08ohm to power a full range of squonk RDAs in the market. Within the unit, the squonk bottle can be filled from the top, after unscrewing a knurled and threaded top cap. The squonking action on the Topside Dual Box Mod is found opposite of the firing button and display face allowing for a high-level vape experience. The leak-resistant 510 base is useful that it will not allow juice within the internals. Furthermore, the 510 base is gold-plated and spring-loaded for the best possible conductivity.